The five Pancha bhoota temples in South India As described earlier, the pancha bhoota temples are revered temples in Hindu theologies. These are the five temples that depict the five elements of nature. 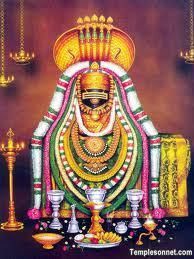 Arunachaleshwar Temple , Thiruvannaimalai, Tamil Nadu Element represented: Fire In Arunachaleshwar Tiruvannamalai temple, Lord Shiva is said to have revealed himself in the form of enormous column of fire, whose crown and feet could not be found by Brahma and Vishnu. A festivity of this display is seen even today in the centuries-old customs observed during the festivals of Shivratri and other Shiv festivals. 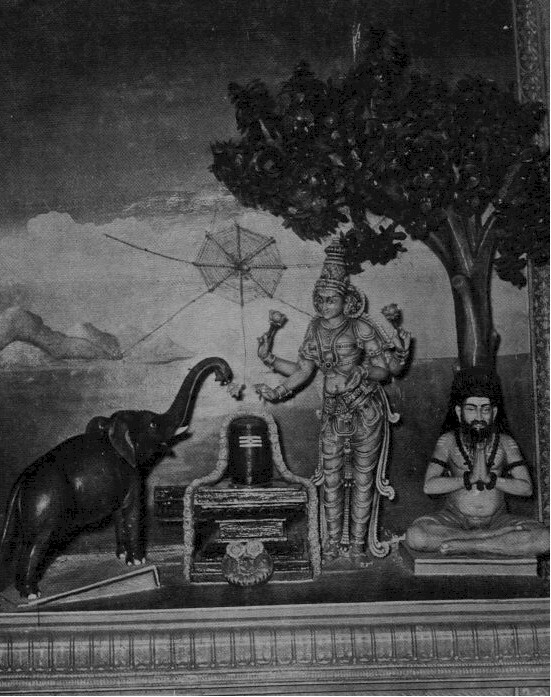 The lingam here is known as Jyoti Lingam or Agni Lingam. The lingam here is believed to preserve fire that explains the story of life - duty, virtue, self-sacrifice and finally liberation by and through austere life and then to finish liberation by and through ascetic life at the end of Agni kalpa. Thiruvanaikaval Temple Thiruvanaikaval, Trichy, Tamil Nadu - Element represented: Water This temple represents the element of water. The lingam here is known as Appu Lingam or jambu Lingam. 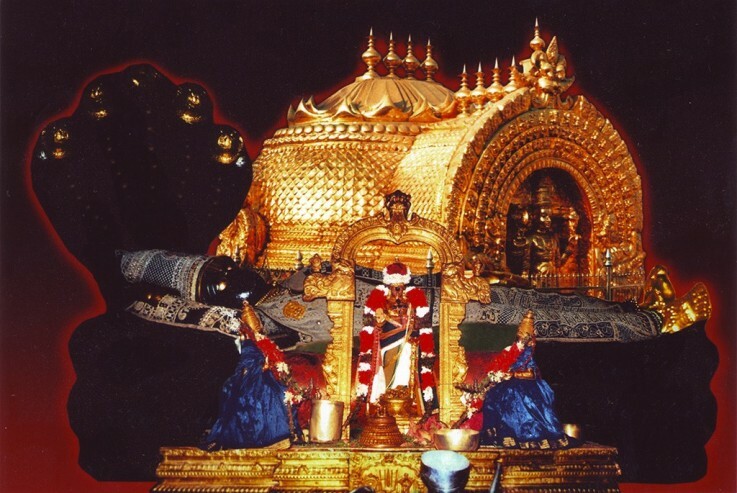 In Thiruvanaikaval temple, Lord Shiva represents element of water where the appu lingam is submerged in water. A perpetual flow of spring gushes around the lingam in this temple. Natarajar Temple Chidambaram, Tamil Nadu Element represented : Sky This temple represents the element of sky and the lingam is called as akash lingam. In Natarajar Chidambaram Temple, empty space is deified as Shiva to imply God is beyond human knowledge. It is strange where there is no lingam of physical stone present, unlike other Shiva temples. Sri Kalahastheeswara swami Temple Kalahasthi, Andhra Pradesh Element represented : Air This temple signifies the element of air and it is the only panch bhoota temple outside state of Tamil Nadu. The lingam is known as Vayu lingam. Ekambareshwar Temple- KanchiPuram, Tamil Nadu- Element represented: Earth The Ekambareshwar temple, depicting earth element is located in Kanchipuram. The lingam is known as Bhu-lingam or prithvi lingam. The Pancha bhoota temples are the five Lord Shiva temples that are dedicated to five elements: fire, earth, sky, water, air. The pancha maha bhoota temples literally mean: Pancha-Five, Maha-Great, Bhoot-Elements. Five elements of nature are represented by Lord Shiva in these temples by manifestation. 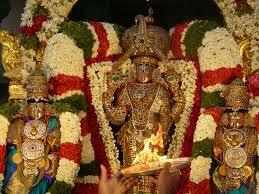 All of the pancha bhoota temples are located in South India. 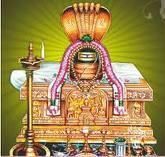 In fact, four of them are located in Tamil Nadu and one is located at Andhra Pradesh.The five elements are believed to be treasured in five lingams of lord Shiva. Each lingam of Shiva is known by the name of element represented by them. In Hindu beliefs, the life present on earth is nothing but a combination of planetary globes and the five symbols of nature that are elements described earlier. The bhoot in Sanskrit language means elements and maha bhoota means great element. The Ayurvedic system, says that the balance of human body or in fact any living organism is controlled by tridoshas :- kaph, pitta, vayu, dhatu and malas that means phlegm, bile, gas, metals, and excreta respectively. It is also believed that emotions of humans are subjected to the natural things like all objects of light, color, effect of speed, sound, gravitational force, sun, moon and stars. Thus, one has different emotions during different situations.